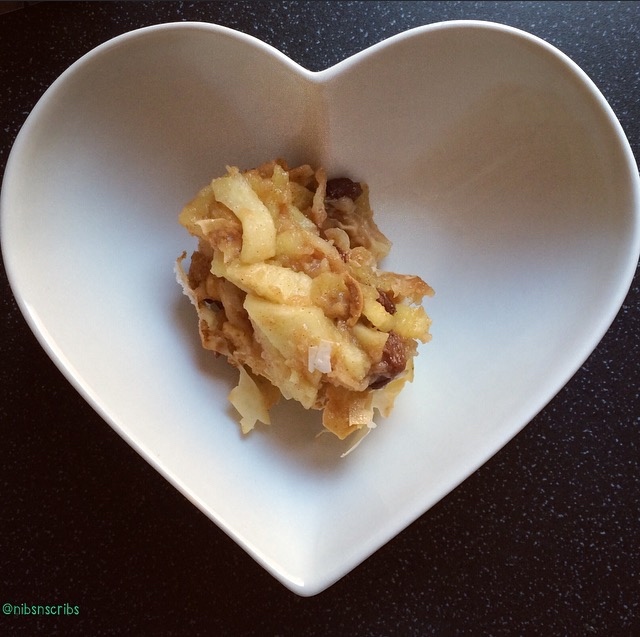 My go-to pudding is always an apple crumble or pie, I just cannot resist. 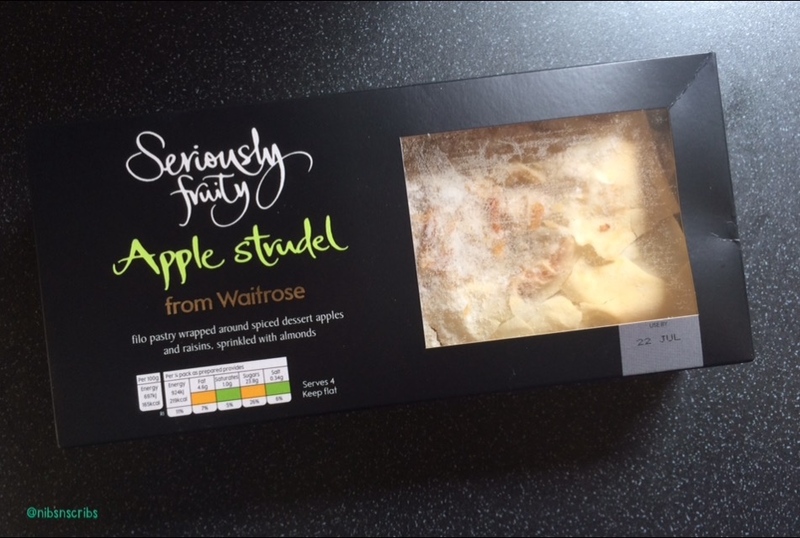 Strudels are rare and far between in the supermarkets and I was pleasantly surprised to see Waitrose Seriously Fruity Apple Strudel. 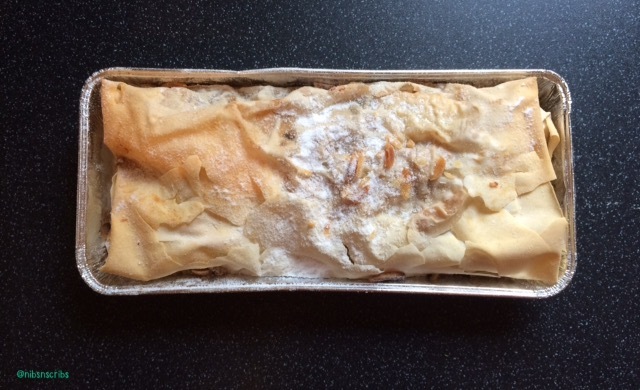 Their strudel consists of filo pastry filled with lightly spiced apples and raisins, topped with almonds and dusted to finish. I picked this up at the weekend for £4.29, it is not the cheapest of dessert choices but the seriously apply contents won me over. Serving 4 and with a 1/4 serving being 219 kcal and 1g sat fat, it is pretty good for a pastry pud. After the allotted 20 minutes in the oven the middle was still soggy and raw, and in reality it took 40 minutes to cook, yes double the time. Flaky and falling apart, getting a picture of the finished product was quite the challenge, needless to say my plonk in the bowl is as good as it was going to get I’m afraid! 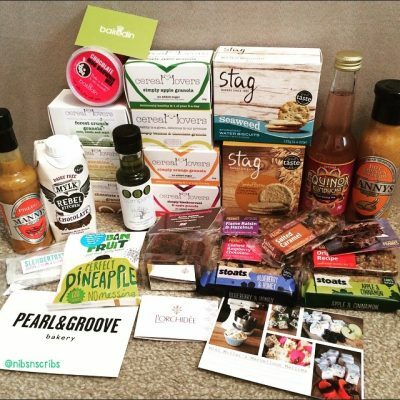 Down to the tasting. The filo pastry was delightfully crisp and crunchy, and the filling was full to bursting, but that is where the positives end. I am not sure what the almonds are doing there, in my book they simply do not go with an apple strudel in anyway shape or form. Although the apples were sweet and cooked through, and there were plump little raisins throughout, the taste was far too overpowering. I’m not sure if Waitrose have a surplus of cinnamon they need to get rid of, or if that is their liking, but my oh my a light dusting it is not. I am all for cinnamon with my apples, but this was taking it to a whole new level. So strong and displeasing I actualy put down my spoon and threw it away. Yes that’s right ladies and gentlemen, Nibbles ‘n’ Scribbles did not finish her dessert! I am very disappointed in this dessert, it certainly did not live up to expectations of what I expect from a good old strudel. The balance of flavours was skewiff as was the cooking time; a real shame! If you love cinnamon then by all means you are going to like this, but it isn’t for me.